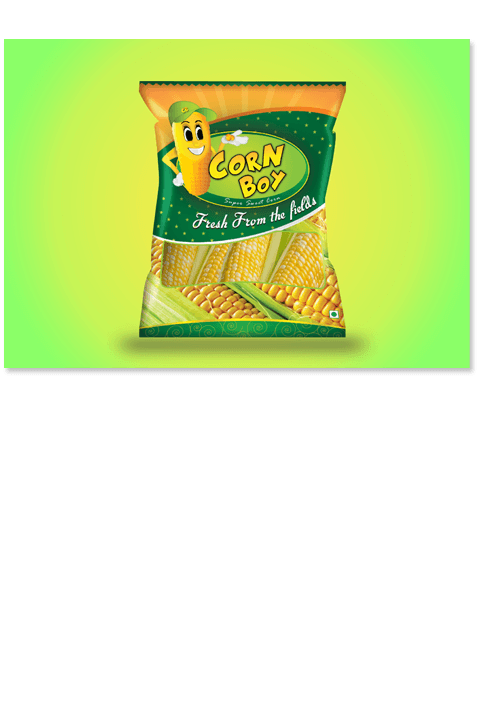 A Coimbatore based sweetcorn exporter & importer Cornboy deals with corn and its various products.The very thought of sweet corn conjures up images of sweet, wholesome goodness. It is one of those foods that can be enjoyed in its pure, unadulterated form, it will add colour, flavour, and texture to your favourite, meat, poultry, and seafood dishes, and is delicious when combined with other vegetables for vegetarian fare.fare. Poogle Media had a fantastic opportunity to create Corporate branding for Cornboy.The creative process of design was inspired by the quote of Anne Bronte - "A light wind swept over the corn, and all nature laughed in the sunshine" Poogle media designed a mascot that captured the feel good factor and matched for true sweet corn aficionados.Poogle created a logo design with fresh colours with custom font that demanded a second look.